Bar Association of Sri Lanka President U.R. de Silva (L), Ven. Dr. Omalpe Sobitha thero (C) and Consultant to the Law Commission on Animal Welfare Legislation, Senaka Weeraratna. 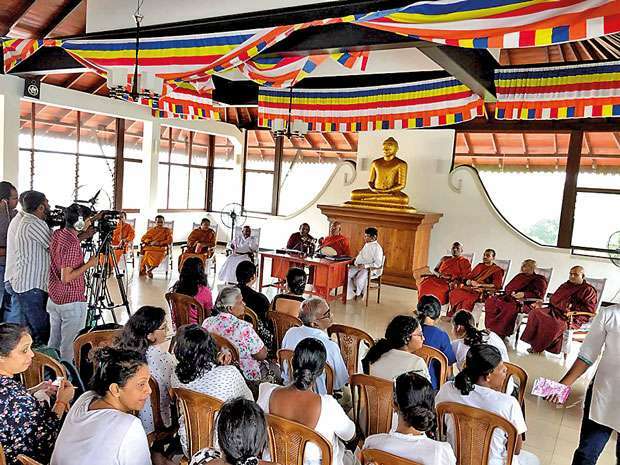 Hot on the heels of the recent protests in Colombo and Negombo demanding that the Animal Welfare Bill needs to be passed in Parliament, Justice for Animals, a community project under the Sri Bodhiraja Foundation, held a media conference on Sunday 13 January. The Animal Welfare Bill was originally drafted in 2006 but has never been enacted despite continued public support over the years to pass it. With the recent string of horrific acts of violence towards animals (including a dog and a cat both being set on fire, puppies being beaten to death with sticks and elephants killed), the Sri Lankan people are angry – they want something done. The panel consisted of Ven. Dr Omalpe Sobhitha Thero – President, Sri Bodhiraja Foundation, Mr. U.R. de Silva – President, Bar Association of Sri Lanka and Mr. Senaka Weeraratna – Attorney-at-law and former consultant to the Law Commission on Animal Welfare Legislation. Also in attendance were the clergy, media, local animal welfare groups and concerned residents to discuss the key problems relating to current legislation on Animal Welfare. “It is a shame that we have to hold events such as this to enact the Animal Welfare Bill in a country that had paid so much more consideration and respect for animals during pre-colonial times. We used to be known as the ‘Aryawansa’, or the ‘noble race’, because of the way we treated animals”. Describing the current situation for animals in Sri Lanka, Ven. Dr Omalpe Sobhitha Thero said “there is no religion here. Our religion should be to secure the rights of the voiceless. We have to acknowledge and respect the rights of all living creatures”. He also stressed that it was important that we influence and put pressure on the ruling parties to provide similar treatment for animals. 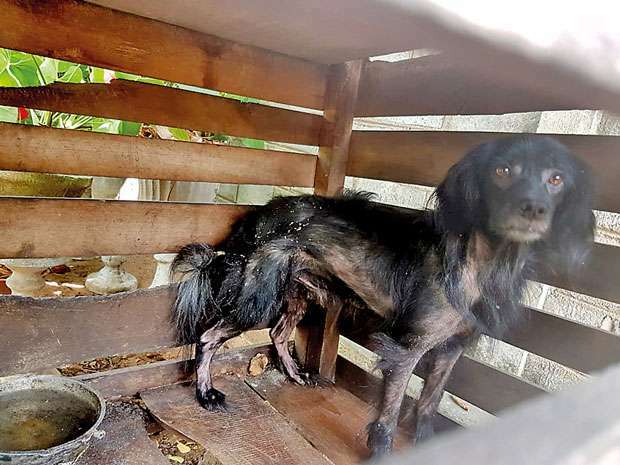 The existing law, the Prevention of Cruelty to Animals Ordinance is over a century old (it was created in 1907) and “is as good as non-existent. 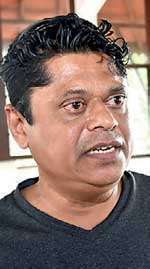 It’s certainly not enforced, with the maximum fine for cruelty to animals being only a mere 100 rupees” Mr de Silva informed. How was the 2006 Welfare Act created? 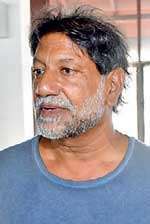 Mr Weeraratna worked tirelessly in an honorary capacity, from 2000 to 2006 to draft and revise the proposed Bill but even with such public support of the Bill, it has been unsuccessful in getting passed in Parliament. “The Sri Lankan Parliament does not support animal rights, it’s not included in any election manifesto. This is because animals have no votes, no money and no power. The manner that animals are observed in this country is on the basis of ‘are they exploitable?’ Since we proposed this bill in 2006, no political party will come forward and introduce the bill and the attention given to moral issues is very low. The future of animal rights is important in this country; every living citizen has the obligation to protect living creatures”. Mr de Silva spoke of the role of the Bar Association in relation to the initial preparation of the draft Act. Generally, the process involves drafting at the Legal Draftsman’s Department. This is followed by amendments of the Bill based on suggestions from the Select Committee of Parliament and recommendations from the relevant Ministry, and direction by the Attorney General. After deliberations, the final Bill will be debated in the parliament and enacted. “Rather than waiting for something to happen, we must follow up and actively work on it,” he said. He also advised that the full support of the Bar Association will be given to the enactment of the Animal Welfare Bill. What are the aims for the Animal Welfare Bill? 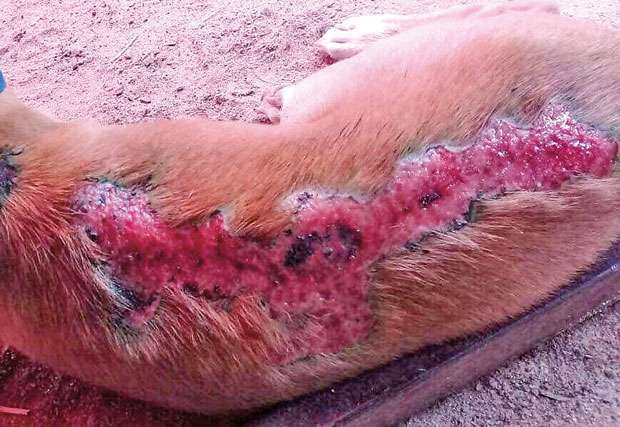 The Bill introduces a duty of care on every person who is in charge of animal(s) and the draft Act stipulates a fine of 100,000 LKR as well as a one-year prison sentence. In the case of domesticated animals or pets - what type of protections or law will be created to protect animals being sold in pet shops or breeders/puppy farms of purebred dogs. The individuals and groups carrying out financial fraud in the names of animal welfare by preying on others’ compassion for animals. 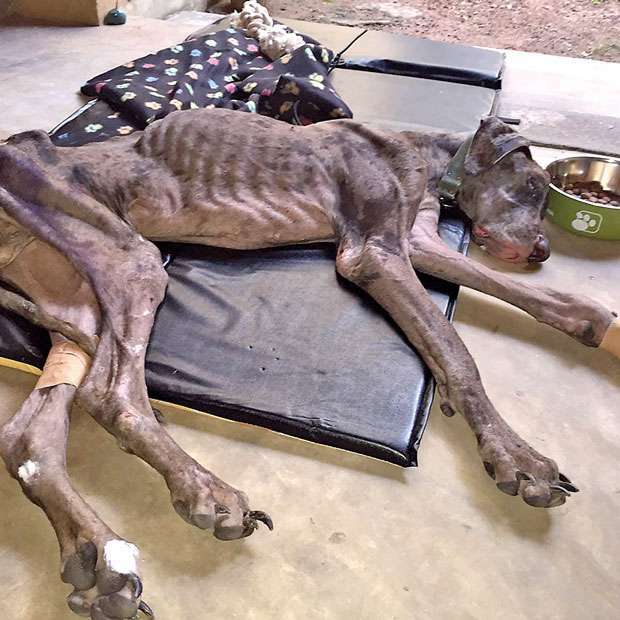 The lack of veterinary clinics to tend to animals in need. In the meat industry, what steps can be taken to improve the welfare of the animals before they are sent to slaughter? How can we protect animals in captivity in places such as the Dehiwela Zoo who are subjected to long hours of suffering for entertainment? The animals that act in the tourism industry or cultural events such as elephants being used for riding, elephants being shackled at Temples and also used in Perehara. The rearing and welfare of farm animals such as poultry under intense, cruel conditions for consumption. If enacted, the National Animal Welfare Authority will monitor compliance with the provisions of the Act and take steps as deemed fit to ensure that the objectives of the legislation are met and modern standards of treatment of animals become part of the way that animals handled by people in charge. At the same time, ensuring that those who violate the law will face the enhanced sanctions including increase in the quantum of the fine, and the extension of the sentence of imprisonment. 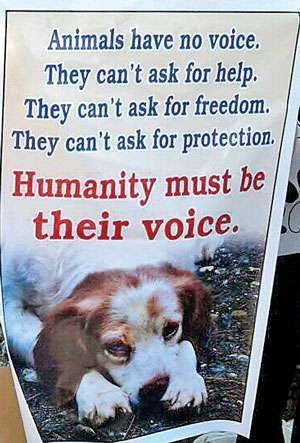 The next step is for the public is to continue to put pressure of the politicians, to show that that Animal Welfare Bill is important to Sri Lanka as a society. Individuals and groups are encouraged to continue holding peaceful protests, contacting your local government and signing petitions. 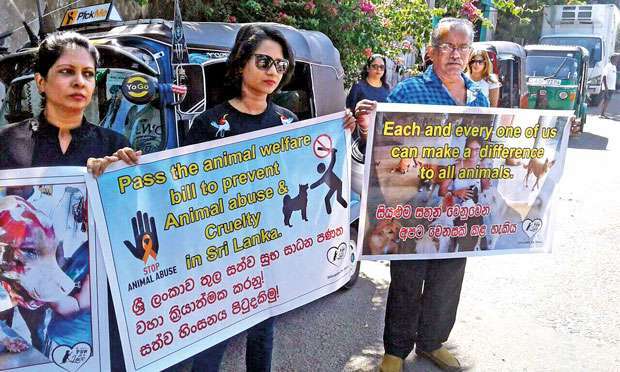 An online petition initiated by activist Anoka Abeyratne at Change.org requests that the Sri Lankan Government enact the Animal Welfare Bill has garnered more than 113,000 signatures so far and citizens are invited to sign by visiting: https://www.change.org/p/prime-minister-of-sri-lanka-pass-and-enact-the-animal-welfare-bill-of-s ri-lanka-to-replace-current-law-from-1907. The spoke to members of the audience on why they thought the Animal Welfare Bill should be enacted? In addition to passing these animal welfare bills, I think what is even more important is to educate the people and the public. The average person has no idea how to take care of a pet or how the pet should be treated. There should be education for the average pet owner. Steralisation is very important to get the animals under control. Awareness on how to treat animals is important. But if you can’t look after a dog in the same way you look after a child, don’t have the dog. It’s not only the bill itself, we need a responsible group which can look into these issues, as some animal organisations aren’t completely honest about where their fundraising goes. An animal’s welfare is comprised of both its physical and psychological experiences; put simply what it thinks and what it feels. Animals can suffer poor welfare by a deliberate or wilful act by a person or by omission. When someone fails to act or provide what an animal needs, its welfare can suffer just as much if not more than an act of cruelty. Once enacted this new and desperately needed legislation will give animals protection under the law and those of us who advocate for their welfare the power to help them. CEO – Dogstar Foundation, Negombo. They say we have to live with the traditions, but these traditions come from the stone age. We live in 2019, we need to see which traditions are not only good for us, but also for the animals. We need to see what is bad, such as taking animals for Perehara etc. These issues aren’t addressed; they leave these topics because it’s a tradition. They want to impose laws, but compassion cannot be enforced through law, it has to come from the heart. Srilanka talk big about been a Buddhist country.And Lord Buddha's Preaching is purely based on compasion so how on earth these people have the heart to pour hot water on a dum animal and leave in unexplainable pain and suffering.Malwattiya and silreddha does not make you a Buddhist to the world practice compassion for heavens sake. It is true compassion cannot be imposed by law but when people know that there are laws and they could be punished they MAY be more careful as to how they treat animals. I think we should take action to initiate programmes at sunday school /Dhaham Pasal and even at school level to make children aware of animal welfare ,their right and also the laws protecting them .Its disgraceful that a Buddhist country like Sri Lanka resorts to such cruelty. The clergy of all religions MUST teach the people the importance of treating animals with kindness and respect . Who ever who thinks that just because being a Buddhist or otherwise and born here does not mean your practicing Buddhism. Buddhist teaching is for the wise not the Wasalayas. Sri Lanka is a Buddhist country only by name. On poya days, millions of so called Buddhists observe sil and gather in temples offering flowers to Buddha statues. Everyday Buddhists listen to sermons, listen to pirith chanting and their wrists are full of pirith nools! But the crime rate is increasing by leaps and bounds. You hear about cruelty to animals that are never heard of anywhere in the world, as shown in this article and much more. Have you ever heard of someone cutting a leg of a living cow with a calf for meat? Hakkapatas to kill elephants? Burning sea turtles live, who come to lay eggs on the beaches? Setting up traps to kill deer, wild boar and other animals? People in non Buddhist countries care for their house pets as their own children and they have very strict rules and punishments for cruelty to animals.No wonder Sri Lanka is cursed with all kinds of natural disasters.